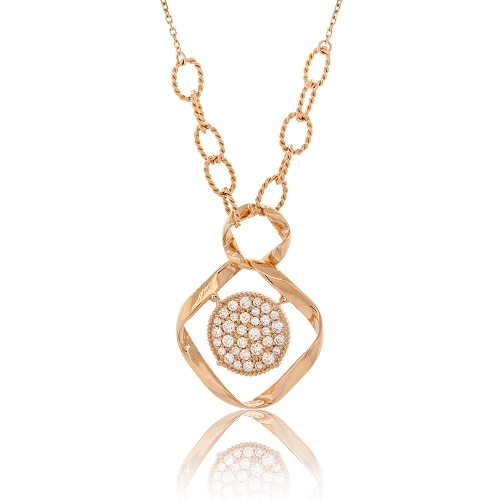 18k rose gold pendant with a circle of diamonds dangling in the center. Diamonds approx. 1.06ct. Chain 21"